While it is relatively easy to track the effects of poor design or content on online performance using web analytics - what about poor Web Governance? What if your site management is not up-to-the-job? How will you know? As explained in this article, every Web Manager needs a new set of analytics to track the effects of governance on the quality of their site. As mentioned in a comment I made on the LinkedIn Web Governance Group, I'd like to add the following proviso to this article. Please bear in mind that effective Web Governance can happen even when Web Governance is inefficient. Confused? What I mean is that the analytics I suggest below mainly just measure ends. They don't really consider means. 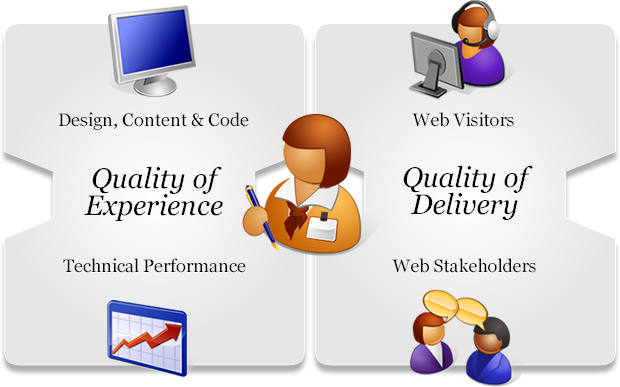 For example, the end I want from my Web Governance is a highly responsive, flexible online presence. However, this could be achieved using very inefficient means, e.g. employing too many staff, blowing my budget on super-duper, gold-plated assistive software, etc. As such, the best Web Manager should consider both ends AND means.